This exceptionally well designed home has some unique features that include Tanzanian hardwood, crafted for the internal doors and floors, Columbian granite benchtops and European style windows that tilt and turn. The home offers four bedrooms, three bathrooms, open plan living and designer kitchen with two wall ovens and an Electrolux restaurant quality, gas cooktop. The outbuildings and facilities include: two impressive sheds, one including stables and tack room; a 20 x 60 all-weather riding arena; nine paddocks with post and rail fencing, and two day yards. The land is slightly undulating and well drained with a spring fed dam and wild-life corridor and provides a charming vista over the surrounding country side. 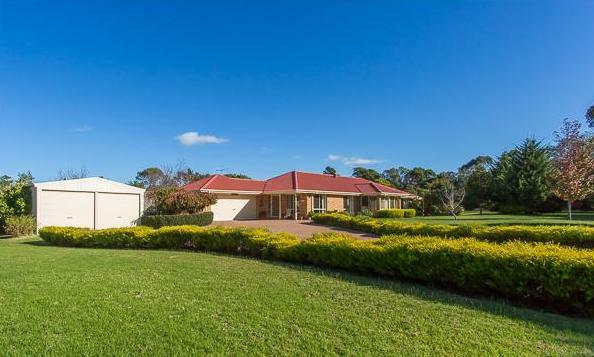 A truly desirable property to own and in close proximity to private and public schools, Peninsula Link, the shopping villages of Balnarring, Hastings and Mornington, and the beautiful beaches of Somers, Balnarring, Merricks, Shoreham and Flinders. Enjoy roaming this expansive 32 acre property with a varied landscape of open paddocks and wooded retreat complete with creek. The family home is spacious and light filled and offers five bedrooms plus study, ensuite and family bathroom. There are three living zones with both formal and informal living and dining areas and a bonus large separate rumpus room. The house has full length windows that offer a vista to the in-ground pool and garden. Two wood heaters and underfloor heating makes this house toasty and warm in the cooler weather. There is mains water and the pool is salt chlorinated and solar heated. The paddocks all have irrigation and there is three phase power to the shed. A great option for the rider with this sand arena measuring 60 x 30 (approx.) and cross country jumps. Right at the back of the property is a three acre (approx.) wooded wilderness, great for adventures or if you want some peace and quiet time. An opportunity to spread your wings and buy a very neat and comfortable home in the increasingly popular Kinfauns estate. 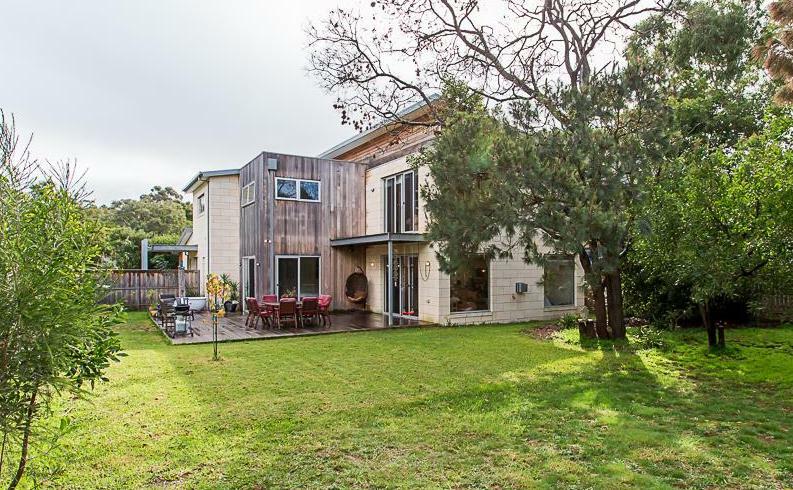 This light filled home offers two generous living zones, master with full ensuite and walk in robe, two further good sized bedrooms that share a full bathroom. There is also a large study or could be a fourth bedroom. An undercover patio that includes a built in bbq is perfect for outside entertaining. A paved driveway leads arrives at two double garages, one currently used as a work shed plus small garden shed. The house is surrounded by lawn and a nice array of trees and shrubs. This is a very comfortable, and well maintained home that offers plenty of outside space. A quality home in the beautiful, tranquil, beach village of Somers. The property is positioned only a short stroll to the general store, post office and beach. The impressive three-year-old home offers an abundance of light and space and five bedrooms. The open plan living area incorporates the kitchen, meals and lounge zones and includes distinctive picture windows that frame the native garden. On the ground floor are three bedrooms including the generous master with ensuite and walk in robe. This room also has doors out to the deck and ornate outside bath. Upstairs there are a further two bedrooms with walk in robes and they share a family bathroom. A second lounge room has doors leading out to a balcony. A kitchenette has also been cleverly included on this floor. Other features include a split system, electric wall fire, solid wood flooring and butler’s pantry. Outside there is a double garage, deck area and fully fenced garden. A very impressive home in a wonderful location, perfect for permanent living or holiday. An irresistible boutique horse property with all the necessities that you require. Situated on 6.5 acres, this property offers a tranquil lifestyle, in a highly sought after location. A four-bedroom home with two family bathrooms, a light filled kitchen with island bench and new stainless steel oven, generous lounge with wood heater and full length windows and doors which afford picturesque views over the property and open to an outdoor deck. Timber floors throughout and central heating add to the creatures comforts. The main bedroom is spacious and opens out onto a north-facing terrace. There are three further bedrooms all with built in robes. One of the family bathrooms features a spa bath. Outside the house garden is fenced off and offers an array of fruit and ornamental trees, as well as a covered veggie garden. Some of the main features outside are the 60m x 25m sand arena and an American barn which provides ample storage, float parking and a workshop zone. Next to this under the same roof line is an additional space providing further covered parking for a tractor, float, boat or boys toys, and an enclosed area housing four water tanks each with a capacity of 22,500 litres. Continuing along the same line is another shed with concrete floor divided into a tie-up area with hot and cold horse wash, tack room and horse laundry (both with hot/cold water), and a feed area.There are also three generous sized rubber lined stables with concrete flooring. There is also an under-cover sand round yard 12m in diameter (approx). The property has been designed to incorporate the sustainable horse-keeping and land management principles of Equiculture’s Equicentral System. 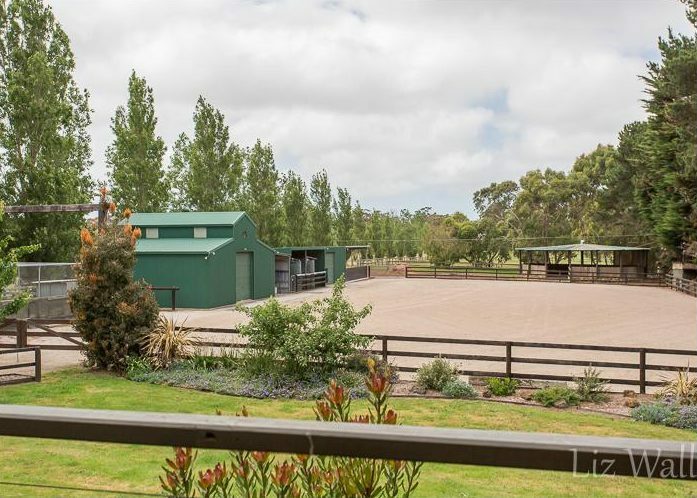 The lane way allows access to the four post and rail paddocks that have extensively improved pastures in excellent condition. There is a further fifth paddock lightly treed and includes a dam. 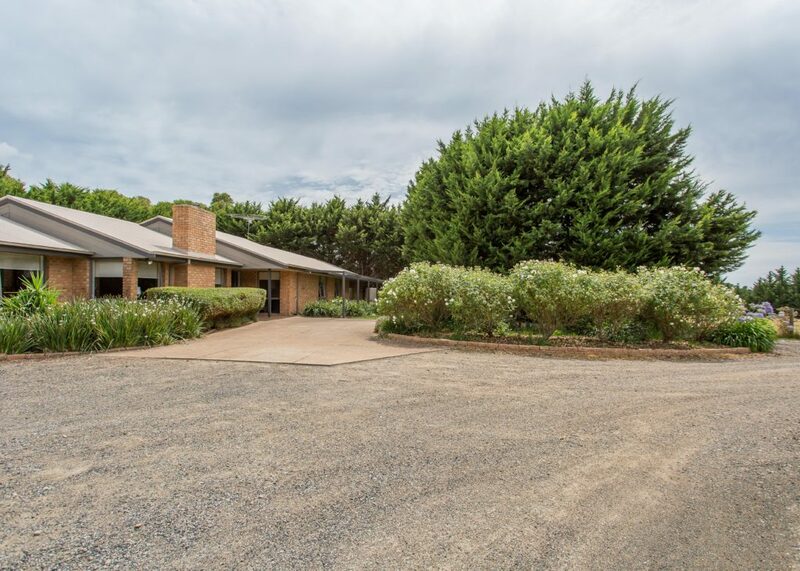 Nestled between larger acreage properties with views over the surrounding Arthurs Seat landscape, this property will be a delight to own, especially with the added bonus of the horse trail right outside the front gate. This lifestyle property, with three separate residences, offers unlimited business opportunities. Situated on 10 acres within the prized ‘Golden Mile’ of acreage properties in Somerville, it enjoys unparalleled access to the heart of the peninsula. Perfect for the family wanting to integrate lifestyle with business, this purpose-built horse property would also suit a range of agricultural pursuits plus tourism such as Airbnb. 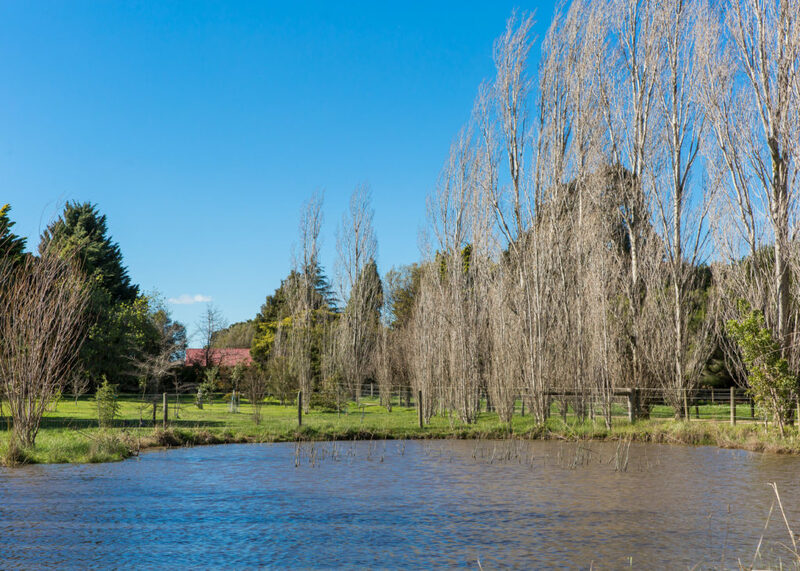 The two brick homes and weatherboard cottage are each self-contained and privately situated within their own delightful gardens with beautiful mature trees and an ornamental lake. Versatile industrial-sized shedding currently used as an indoor riding arena, an Olympic size outdoor riding arena, additional shedding with enclosed stables, tack rooms and hay shed. 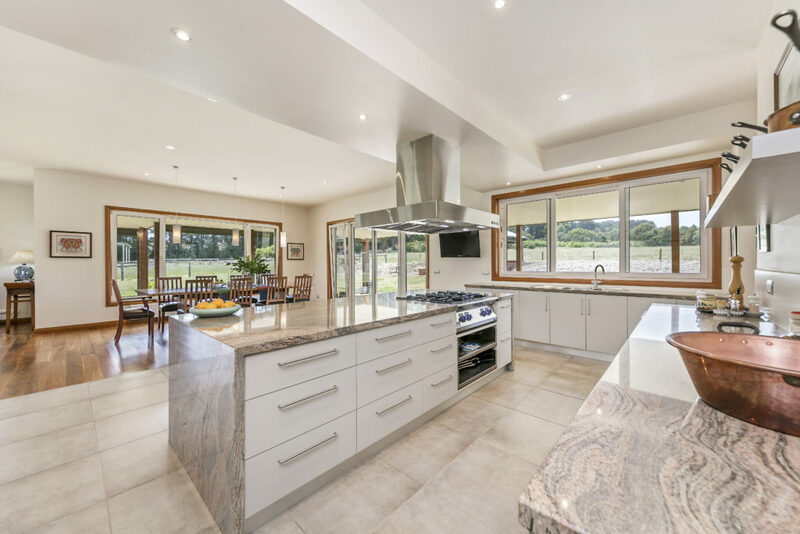 The pleasantly-elevated 10 acres has access via a private drive-way opening on to well-fenced paddocks with views overlooking neighbouring farm land.